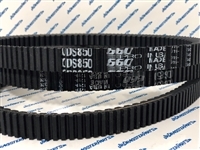 Standard drive belt by 660 Pro that is formulated in a special compound to minimize slip to provide better launch and consistency. For use on all standard Shockwave and Polor Max Setups. 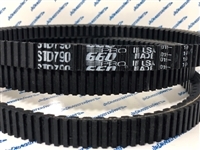 Drive belt by 660 Pro that is formulated in a special compound to minimize slip to provide better launch and consistency for overdrive and outlaw clutches. 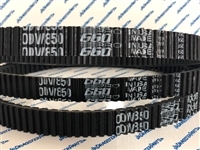 A wider Drive belt by 660 Pro that is formulated in a special compound to minimize slip to provide better launch and consistency for overdrive and outlaw clutches.